Organisms that are resistant to today’s antibiotics are increasing, the costs are skyrocketing and they are becoming a serious threat to the human race. 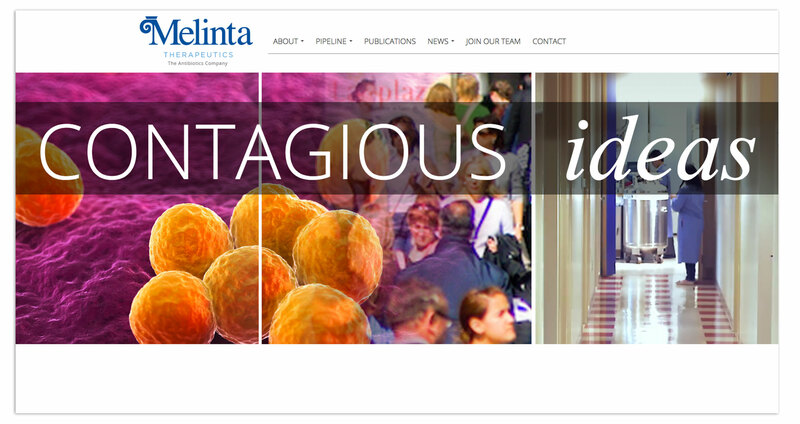 Melinta’s leadership in the development of new antibiotics and contagious disease therapeutics is welcome news. 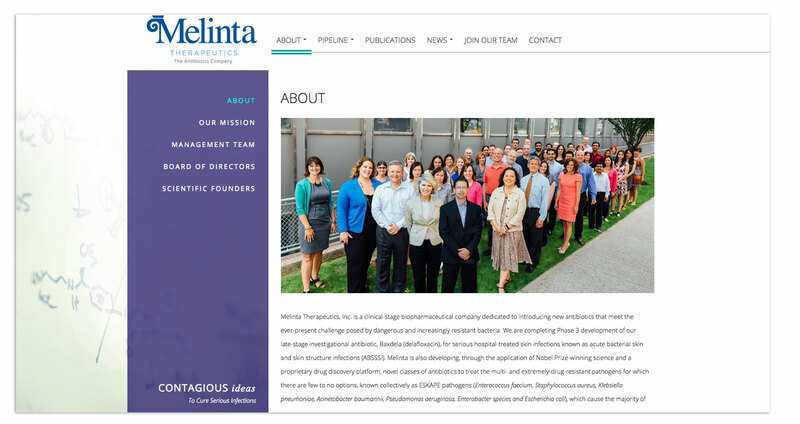 AldenMC worked closely with Melinta’s team, writing new content and strategizing new ways and means of communicating their message. 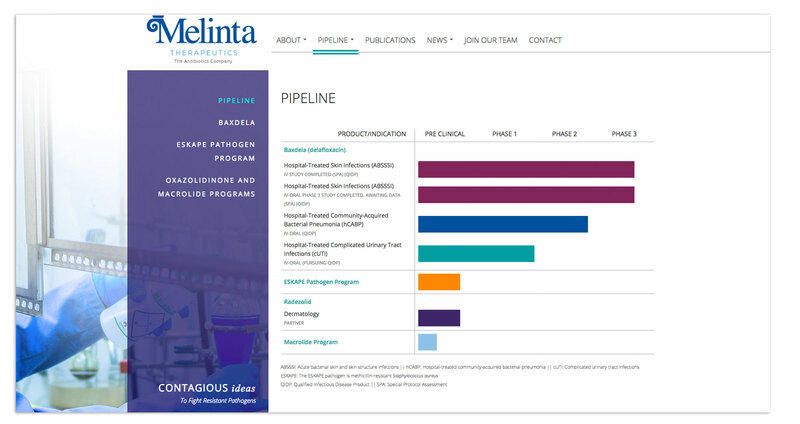 AldenMC developed a new web site, video and corporate intranet.